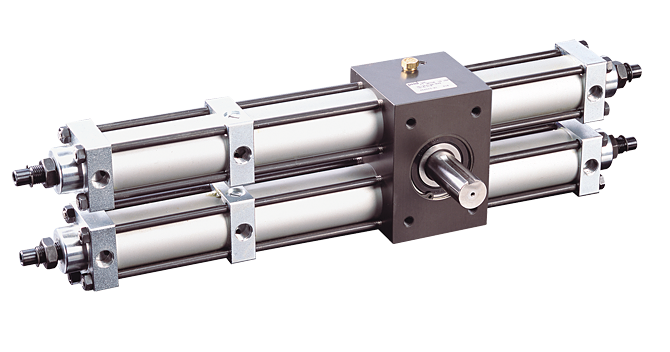 Rotary Actuator | Multi-Position Hydraulic & Pneumatic | PHD, Inc.
Series 2000-8000 Multi-Position Pneumatic & Hydraulic Rotary Actuators feature the capacity for three, four, or five rotational stop positions. Each position is located by means of positive internal stops. Units can be either pneumatically or hydraulically powered. Series 2000-8000 Rotary Actuators are designed for extreme heavy duty applications where multiple positions are required. Four bore sizes available, wide range of options available, output torque up to 15,900 in-lb [1797 Nm].